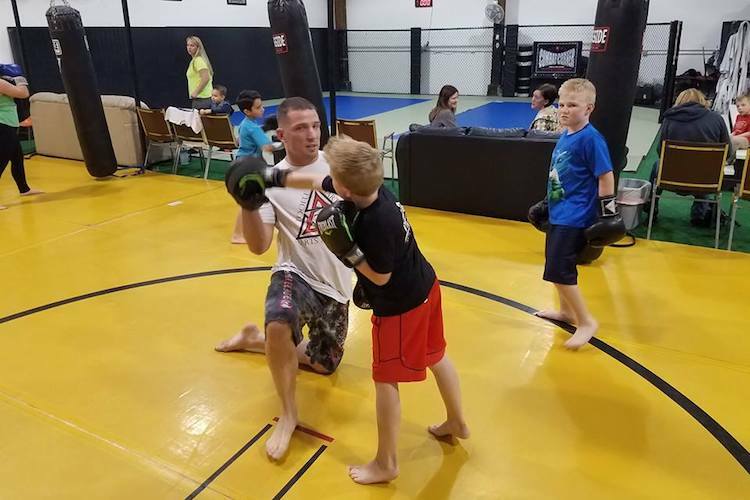 At Toole Martial Arts Academy, we are proud to offer students of all ages a well-rounded approach to martial arts training and character development. Our Kids Martial Arts program has classes for all ages and abilities, helping students challenge themselves and have a blast in the process. Our classes include Kids Kickboxing, Kids Brazilian Jiu Jitsu, AND Anti-Bullying instruction. Join us in Toole and give your child the best chance to thrive. Just fill out the short form on your screen to get started today! We know that no two students train the same. That's why we go above and beyond with high-level classes in multiple martial arts disciplines. Our Kids Martial Arts program gives students of all backgrounds a fun way to stay active. We surround every child with supportive instruction and individualized coaching. The physical aspects of our training are great. They help students establish a lifetime of physical activity. But we're also aiming to do so much more. At Toole Martial Arts Academy, we want our Kids Martial Arts students to walk away better prepared for anything life throws their way. We're surrounding them with positive role models and helping them overcome a new obstacle every single class. See It For Yourself! Our Kids Martial Arts Classes Are Perfect For Everyone In Tooele! If you're ready to give your child a new way to stay active and have fun with new friends, come see us in Toole today! Our Kids Martial Arts classes are designed to meet the needs of every child in our community and we're excited to show you why. Just fill out the short form on your screen to get started or to learn more about everything we have to offer at Tooele Martial Arts Academy!